Last week I was trolling around a few author blogs to see if there were any updates about some series books where news has been fairly mute lately. This included stopping by Ian Tregillis' blog as I'm eager to see where things go after the events of Bitter Seeds. I noticed a comment about the second book in the Milkweed Triptych, The Coldest War, would not be coming out in 2011 as previously announced. Ian promised to do a complete blog post explaining the situation and the new publication schedule. Yesterday he came through with a very heartfelt post going into quite a bit of detail about the ups and considerable downs surround his books and publishing at-large. Firstly, for those wondering none of the delays are Ian's fault in any way. He turned the manuscript for The Coldest War in a bit early where it has languished on his editor's desk for more than a year and a half. He has also turned in the third and final book in the series Necessary Evil as well during this time, which was required by contract. All of this was done without any editorial notes or feedback of any kind. Ian than goes on explaining each and every stumble he faced including 3 massive delays in the publication time table. The whole post is well worth reading even if you haven't read Bitter Seeds as a cautionary tale of what could happen. 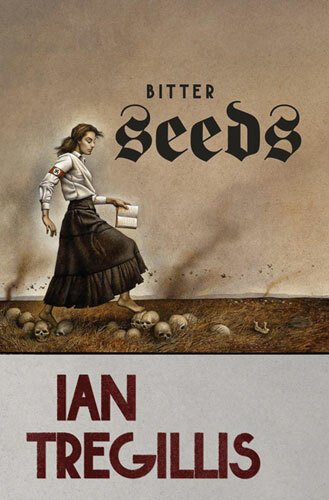 But Ian says there is hope in sight with a change in his editor and a new publication date for the mass market version of Bitter Seeds and for the hardcover of The Coldest War as well as new cover designs for the series. The Milkweed books have moved to a different editor. (They're staying at Tor, so this is purely an in-house move.) The move has the blessing of all invested parties: me, my agent, my previous editor, and my new current editor. It wasn't undertaken out of spite or anger. The sole purpose of this 100% amicable move, as agreed upon by everybody involved, is to try to put the Milkweed books back on a reliable publishing track. .... In less than two weeks, she had already read the published version of Bitter Seeds, as well as the 20-month-old manuscript for Coldest War, and was a few chapters into Necessary Evil. And she even plans to go back and reread Coldest War again before consolidating her notes on the book! I've been told to expect an editorial letter by the end of this month. Best of all, we had a broad-strokes discussion of her analysis, only to discover that we're very much on the same wavelength. So there is strong hope in site. 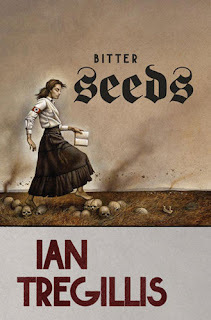 Hopefully this situation doesn't sour Ian too much on publishing as I'm sure he has plenty of other books in his future. Check over Tregillis blog for the complete story. Definitely a tough situation. I can only imagine thinking WTF but not wanting to piss off the guy who is responsible for bringing my books into being. You don't want to become the "difficult" author. At what point is enough, enough? I expected the delivery of my mmpb copy of Bitter Seeds within this month. Now I understand why I have to wait until January 2012. I'm dumbfounded. I hope this disaster will not ruin Ian Tregillis.